Recap: Jealousy isn’t a very useful word. It’s an oversimplification of something that’s actually quite complex and nuanced, covering a whole constellation of different thoughts and feelings. “Jealousy” as a concept doesn’t give us very good advice on what to do. What we refer to as “jealousy” usually falls into three broad classes — envy/desire, insecurity, or possession/ownership — and each of these has its own set of circumstances and its own path to resolution. Imagine you have a Maserati. It’s your most prized possession. Now imagine handing the keys over to someone. Imagine all the feelings that come up. Are they trustworthy? Good driver? Will they take care of it? Do they get what a cherished and valuable possession this is, and what it means that you’re trusting them with it? Will they treat it with the extreme care that it deserves? Will they be deliberate or cavalier with it? Even as the keys are leaving your fingertips, you’re panicking. So what do you do? You hop in and ride shotgun, with one hand on the steering wheel and the other on the shifter, barking a constant stream of driving instructions, pointing out road hazards half a mile away, etc. Now, imagine that what you gave them is the keys to your heart. That should give you a sense of what’s going on here. You’re worried about whether they’re going to handle it properly, you’re trying to manage the whole thing and coming off as controlling. Here’s a pretty common pattern that occurs in the presence of possessive jealousy: any disagreement that arises between you seems to lead inevitably to a clingy / aloof dynamic. While you move further into “Until death do us part, forsaking all others” territory, your partner continues to communicate some form of, “If you love someone, set them free.” Funny thing is, it doesn’t seem to matter what the original disagreement was. It seems to end up here, with your respective actions making each other ever more uncomfortable, leading to increasing polarization. The spark that drew the two of you together in the first place… vs. your relationship goals, desires, and beliefs. A real-life connection you experience with this real, living, breathing human being… vs. the “checklist” they’re not fitting into. Your natural impulse to love… vs. your tendency to treat love as a bargaining chip. Where does our need to own someone come from? The answer is surprising. It comes from our desire to be owned by them. That, combined with our fear of our relationship conditions not getting met. our fear of relationship conditions not getting met. For those who are thinking, Huh? !, I’ll say it another way. That tendency we have to be possessive and controlling? It’s actually driven by a deep desire to give ourselves over to them fully — to hand them the keys to our heart—colliding with all of our ideas and preconditions for relationship bliss, which we fear won’t get met. We want to own because we want to be owned, and we’re scared. Don’t give up your relationship goals for someone who doesn’t seem to live up to them. That’s not a joke, I’m serious. I’m totally good with you stopping right here and calling it quits, if you are. But while you’re composing that good-bye letter in your head, gearing up to get on with your life and resume the eternal search for Mr./Ms. Perfect… let me give you a little something to think about. The very best, the richest, the most profound, the most amazing relationships — the ones that crack us open and rewrite our beings down to the DNA — these relationships tend to look nothing like what we imagined, or pre-planned. They are a complete surprise. They tend to shatter our most cherished expectations. Why? 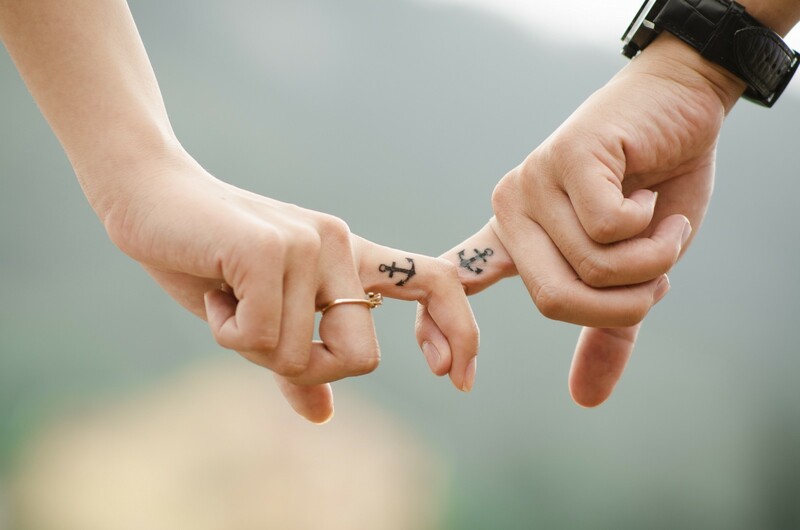 Because we’re pretty clueless about what’s really possible between two people — how potent connection can be — until we experience it. Then when we do, it’s often both different and better than we were expecting. We are built for connection. All of us. And all of our plotting and planning and efforting to get it to happen don’t really prepare us for what it’s really like when it arises. And the biggest thing that stops connection from happening is… we’re not open to it. Because of our tendency to make the template more important than the connection. We are living under the tyranny of all the conditions we are placing on others in order to love them. Which brings us back to the topic of Jealousy. When we love someone as they actually are without a lot of conditions, we tend to feel less jealous. Because the truth is this: we’re not afraid that they’ll leave us… we’re afraid that we might leave them. Here you are urgently trying to twist their arm to surrender to you fully and commit to you eternally. But let’s be honest, to what degree are you yourself on the fence? How often do you have second thoughts about whether this is The One? Between the two of you, who’s actually more likely to bail? For all the reasons given above, it’s not uncommon for the more possessive partner to be the greater flight risk. So I’d like to suggest a different approach. Instead of working so hard to get this relationship to go in the direction you want it to go… why don’t you just set your checklist aside for long enough to see what’s there between you. See what arises. Let your connection evolve organically. And, without comparison, just see if you like it. Do you like the connection that you have with this person? And if so, start to build from that. Consider that you can’t preconceive what relationships are supposed to look like. You will need to craft, together, what this relationship looks like — presume that it will be different from all other relationships that have ever existed, and different from your pre-existing expectations—and it will be based on the nature of your unique connection. Because, regardless of whether it’s with your current partner or someone else, this is how the relationship is going to develop if it’s going to be strong, resilient, happy, intimate, passionate, fun and long-lasting. ©2016 by Ken Blackman. All rights reserved.